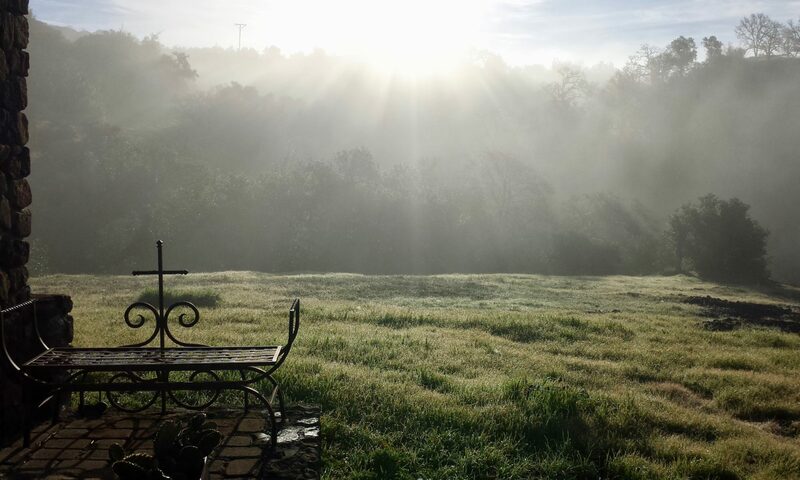 Sky Farm Hermitage has 4 Guest Hermitages available for individuals seeking time alone in silence and stillness. As the gift of Sky Farm is a chance to experience solitude, each hermitage is single occupancy. No pets for the sake of others on retreat. • The 3 self-contained Hermitages have a bathroom and kitchenette. The suggested donation is $95 per night. • The unique Wine Vat Hermitage has the use of a fully equipped refectory/kitchen. The refectory is a short distance from the hermitage and has a shower & bathroom attached. The suggested donation is $75 per night. • Beds are made and towels provided. • Guests bring food and prepare their own meals. A fully equipped kitchen is provided. • Our beautiful Chapel is always open for prayer & meditation. Morning Prayer is at 6 am and guests are welcome. • A light jacket or a sweater is recommended even in the summer, as evenings can be cool. Good walking shoes are helpful as the terrain is rocky. • We ask guests to maintain the silence and to respect the quiet of others on retreat. Our hope is that time spent in solitude will result in a deeper inner peace and compassion for the world around you. You are invited to come and drink from this source and enjoy this unique wildlife corridor between the vineyards. 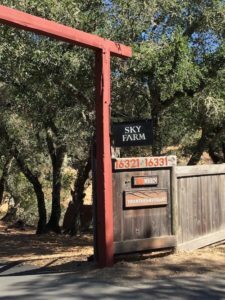 Sky Farm Hermitage is located 3 miles from the historic Plaza Park in downtown Sonoma. Approaching the Sonoma Plaza on Broadway: turn left onto West Napa Rd, then immediately right on 1st Street West. 1st St. West becomes Norrbom Rd, follow this for 3 miles until you come to: 16321 and the Sky Farm sign. Turn left into the driveway and follow the road past two houses continuing up the hill until you see the Chapel and Hermitages.